Earlier this year, Vicky suggested that I devote myself full-time to my dream of becoming a writer. She was bringing in enough money to cover the bills and things were coming together for me, as well. My first book, Climbing Maya, was going to be published by Solstice Publishing. I was in talks to have my first full-length play produced. I was releasing ebooks, writing regular articles (such as those appearing in Recovering The Self), and coming up with ideas for new projects faster than I could write them. In short, everything appeared to be going my way. Summer came. Climbing Maya was released as an ebook and in paperback through Solstice Publishing (and available through Amazon and other outlets). I signed a contract with a theater in San Francisco for the production of my first full-length play, Murielle’s Big Date. I signed another contract with my agent for representation of another book of philosophy, Dynamic Pluralism. I finished another novel, wrote several plays, and found out I would have another play produced at this year’s OC-centric New Play Festival. And everything kept moving along… or so I thought. But then, I turned out to be very wrong. The release for Climbing Maya didn’t go so well and sales were weak. My ebooks stopped selling. And the producer/director of Murielle’s Big Date disappeared without a trace. Every gain I seemed to make earlier in the year seemed to collapse right in front of me. And then, Vicky had to deliver the news we had both feared would come. Her income hadn’t been quite enough to cover the bills and, no matter how well she tried to manage it, we knew I’d have to find a job to help pay our bills—not much of a fairy tale, is it? But that’s the thing about dreams. Once you put yourself out there and really start chasing them, they stop being fairy tales. They are no longer those fables filled with happy endings we wish they would be. They take on the grime and dirt of reality and sometimes—who are we kidding? Often—they simply let us down. But that’s not why I’m writing to you today. I’m writing to you today to let you know that as hard as it is, as difficult as it may seem, that doesn’t have to be the end of it. I write here every month and talk about chasing your dreams because I believe the chase is worth it. I believe the pursuit is valuable. We can lie down in despair when reality gets too hard or we can choose to fight even harder! And that’s what I am doing. That’s what I’ll continue to do. I won’t lie to you. 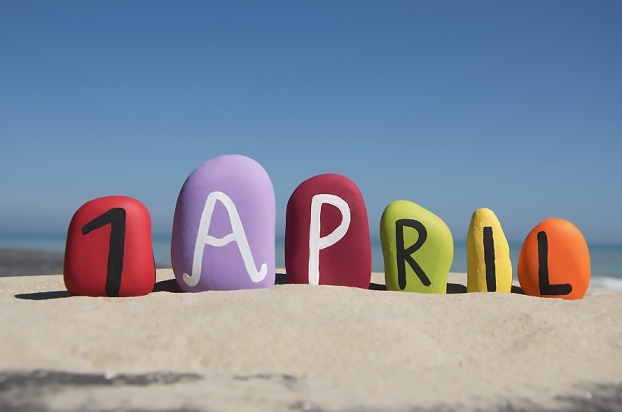 The last seven months or so have been wonderful, spending every day in the pursuit of my dream. And none of it would have been possible without Vicky. So, okay, it didn’t quite turn out the way we’d planned but that doesn’t mean it wasn’t worthwhile, either. That was seven months I would never have had without Vicky. I’m grateful for it! And now, it’s time to press on even harder. My dreams mean far too much to just give up! I’ll find a job and work hard in the hopes of reaching a place where I can write full-time once again. Will I get there in a week? In a month? In a year? No one can say. I’m here to tell you, though, the dream lives on. That’s the kind of power dreams have. When they mean something to us, we will find the strength to go on. We must! Because that dream is the thing that makes us who we are, that makes us unique. It is the part of ourselves we relish in, that we look at with pride, because we know just how special and worthwhile it is. Dreams are hard. Sometimes, they let you down and they don’t quite measure up to be what we hope they’ll be. If they were easy, they wouldn’t be dreams. 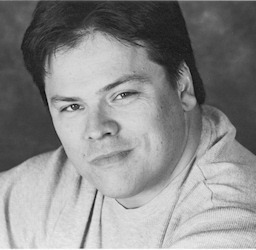 You can find out more about Ken La Salle at www.kenlasalle.com. 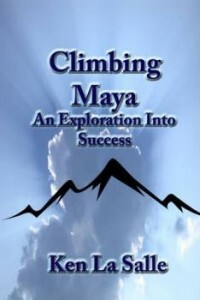 Climbing Maya, An Exploration Into Success by Ken La Salle is now available from all major e-tailers by Solstice Publishing. You can also find The Worth of Dreams/The Value of Dreamers, a compilation of Ken La Salle’s first year with Recovering the Self with plenty of bonus content, available as an e-book from all major e-tailers and coming soon as an audio book. Next Next post: How to Increase Your Interview Chance?